Round-trip transportation on scheduled airline. Madrid Metro Pass 10 Rides. Three-day public transportation pass in Barcelona. All breakfasts. Five lunches. All dinners. A dream comes true as your wide-bodied jet thunders off the airstrip, Europe-bound! Watch the sun rise up to meet your airplane, after a short night. Spain glides by beneath your airplane, in shades of sienna, as you head towards Madrid's Barajas Airport. Stroll in the Plaza Mayor, the heart of the Old City. For lunch, why not duck into a sidewalk mesón for a sopa de pescado or some calamares? Discover two beautiful squares in the heart of Old Madrid, starting at the Puerta del Sol, known for its department stores, and for the clock tower on the Royal Post Office that's the focus of revelers on New Year's Eve. See the statue of King Charles III on his horse. Continue to Plaza Mayor, surrounded by shops, cafes and restaurants. On this square, the rider is King Philip III. 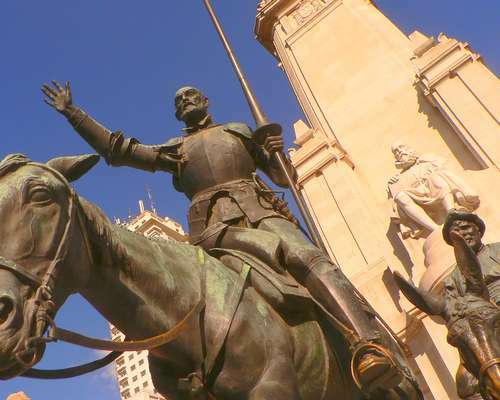 Then, proceed to 'Spain Square' to view the imposing monument that honors Miguel de Cervantes, hailed as the author of the first modern novel (1605), by depicting his world-famous characters: Don Quixote, on his horse, Rocinante, and Sancho Panza, on his nameless donkey. A homestay experience is unsurpassed in its combination of sightseeing and cultural immersion. 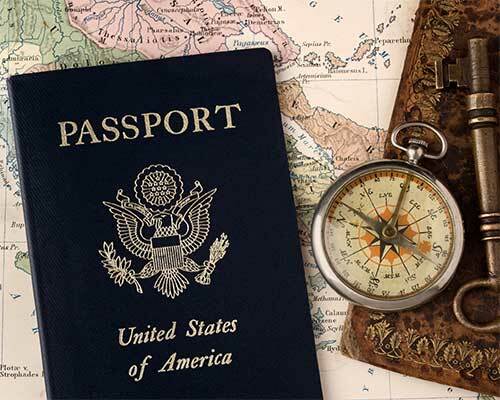 It's a unique opportunity of living in another culture while absorbing the lifestyle and augmenting your language skills. Your host family will welcome you to your new home. Enjoy a typical home-cooked meal this evening as you test your language skills at the dinner table, and your hosts test theirs. There's sure to be plenty of laughs! Toledo is surrounded on three sides by the Río Tajo, which has cut a deep gorge out of the encircling mountains. Christianity, Judaism and Islam coexist on the tiny streets of this ancient city, which was once the capital of Spain. Indeed, the entire panorama of Spanish history is embodied in its churches, synagogues, Moorish mosques and fortifications. A full-day local guide, well-educated and specially-trained on the history and culture of Toledo, will accompany you today. 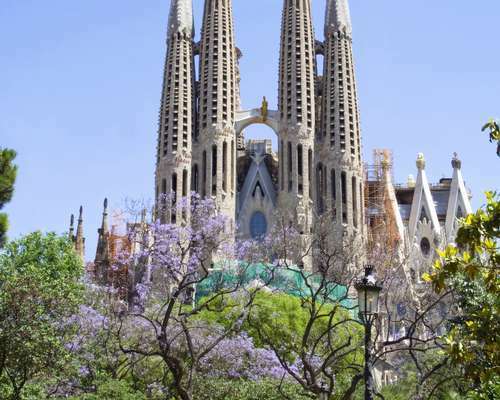 Visit one of the most impressive Spanish cathedrals, completed in 1492, after nearly 300 years. Its treasury contains an impressive display of gold and silver vessels and alabaster sculpture. Visit the Church of St. Thomas to view El Greco's Burial of the Count of Orgaz, a fresco commissioned in honor of a Spanish nobleman who was known for his generosity and charitable deeds. Enjoy a visit to one of the city's two remaining medieval synagogues. 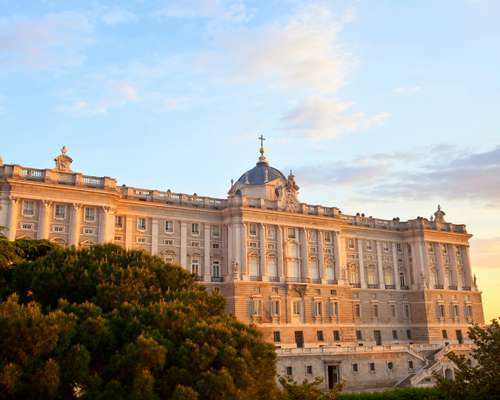 Travel to the religious retreat of King Philip II, El Escorial, where he and other Spanish kings lie buried. On a guided tour, see the Royal Pantheon and Crypt of the Royal Children, the apartments of King Philip, and the basilica with Titian's fresco of St. Lawrence's martyrdom, as well as the lavish library which contains 40,000 rare manuscripts, including St. Teresa of Avila's diary. Then, head to the Valley of the Fallen, nestled in the Guadarrama Mountains. Intended as a monument to Fascism, this site is now a memorial to soldiers from both sides who died during the 1936-39 Civil War. See the world's largest monumental cross and the entrance to the underground basilica (currently closed to visitors) that General Franco ordered carved inside a hill of solid granite by prisoners of war. Walk across the vast esplanade for a panoramic view of valleys and mountains. A full-day assistant will accompany your group until dinner. Enjoy a guided tour of the Plaza de Toros de Las Ventas, Spain's premiere bullfighting ring and a beautiful example of the Arabic influence on Spanish architecture. View world-famous paintings by El Greco, Goya, and Velázquez, and much. much more, at the magnificent Museo del Prado. Stroll through Retiro Park. Once royalty's playground, El Parque del Retiro now opens its gardens and recreational areas to the public. You may be tempted by a row boat ride on the lake (you row! ), or by a solar boat ride (you relax!). Stop in the ancient capital of the kingdom of Aragón, Zaragoza. You'll see the towering cathedral known as La Seo, the Aljaferia Palace, built by the Moors in the 11th century and later used by the kings of Aragón and the city's best-known landmark, the Basílica de Nuestra Señora del Pilar. This shrine is one of Spain's most venerated sanctuaries as it houses a pillar upon which, according to tradition, the Virgin Mary appeared to St. James the Apostle in the first century AD. Enter Saragossa's best-known landmark, the Cathedral-Basilica of Our Lady of the Pillar, a shrine housing a pillar upon which, according to tradition, the Virgin Mary appeared to St. James the Apostle in 40 AD. The basilica remains one of Spain's most venerated sanctuaries. Continue through the landscapes of Catalonia to the seat of the 1992 Summer Olympics, Barcelona. Visit the extraordinary-looking basilica whose construction was planned in the 1870s. Antonio Gaudí worked for more than forty years to create a unique and huge sanctuary still far from completion. The Temple Expiatori de la Sagrada Familia combines elements of Gothic architecture and the tenets of the Modernista movement associated with Gaudí. A guide will accompany you during your visit to the Sagrada Familia. 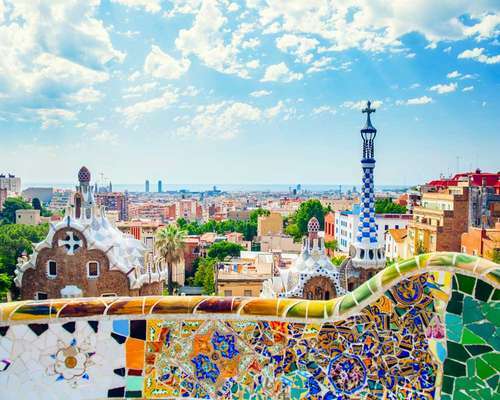 Check out Gaudi's most colorful creations on exhibit in Parc Güell, notably the mosaic-decorated pavilions and the cavernous Room of a Hundred Columns. You may want to visit Casa Milá, an apartment building designed by Antonio Gaudí in 1906. Also called La Pedrera, Casa Milá is so unique with its curves and fantastic rooftop that it is one of Barcelona's best-known UNESCO World Heritage Sites. You may want to stroll down Las Ramblas to the Columbus Monument, which marks the spot where the explorer stepped ashore in 1493 after his voyage of discovery. Nearby is Port Vell, the harbor area where you'll find one of Europe's largest aquariums. You may want to pay a visit to the Mercat de la Boquería, located off the Ramblas avenue. This award-winning market, ("Best Market in the World 2005," among awards), is stuffed with all imaginable cooking ingredients. See spices, seafood, meats and dairy, fruits and vegetables, bread and pastries, wine and handmade pasta. You'll be able to rub shoulders with farmers offering their local harvest, fishermen with their catch-of-the-day, and butchers displaying the freshest and most varied selections of meat and poultry. Olives and cured hams abound of course, for this is Spain. Plan a picnic! Enjoy a walking tour with a guide in the tight maze of streets found in the Gothic Quarter, Barcelona's medieval district. Its focal point is the great Gothic cathedral. Other Gothic Quarter landmarks, all dating back to the 14th century, include the Palau de la Generalitat (Cataluña's Parliament), Casa de la Ciutat (Town Hall) and the ancient royal palace where Christopher Columbus met Isabel and Ferdinand upon his return from the Indies. Several of the district's 14th-century mansions now house museums. Check out Playa de la Barceloneta, the city's #1 beach, where favorite pastimes are swimming, sunbathing, and sipping refreshments at a beach hut. Have your picture taken below Frank Gehry's shimmering Goldfish sculpture. ¡Adios España! Barcelona's airport recedes, and you're 500 miles closer to home with each hour in the air. You'll be back! For now, race the sun westward, arriving home later today, eager to share your experiences with family and friends.